Join us for 4 nights in Buriram 4-7 October 2019 for the second annual #ThaiGP. We have lined up most accommodation right in Buriram. Package prices LOWER than 2018! The inaugural event in 2018 was a very pleasant surprise as it all went very smoothly, and we were impressed by the circuit, the people, the action and generally how easy things were. So we are back! 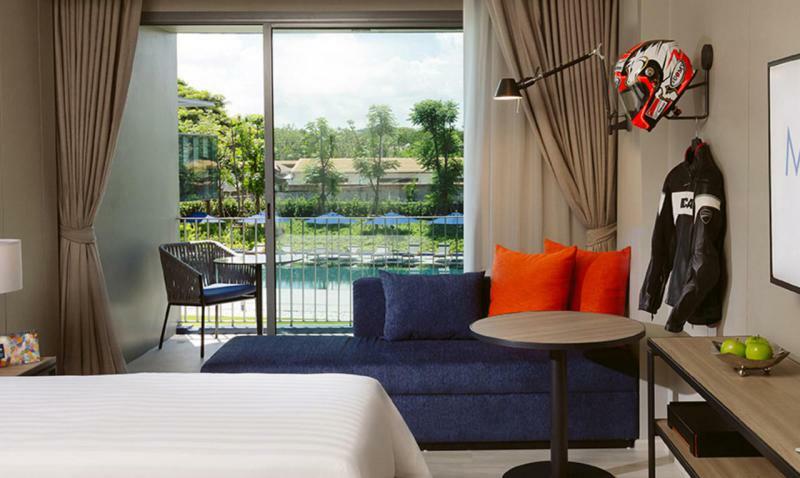 Bigger and with far more accommodation right in Buriram to make this the perfect MotoGP to hang a holiday off! We offer 4 hotels: one great value "resort" style hotel in individual bungalows in neighbouring Surin, and three hotels (3/4/5*) right in Buriram. We are especially delighted to offer our new Deluxe package in the new 5* hotel adjacent to the track -- this is where many of the top teams and riders will be staying! For a very limited number of rooms we are offering a FREE extra night in the Deluxe package! Ticket sales will be launched when made available by the circuit, you can reserve with us if you are purchasing a package.